Some data mining of Fortnite’s code has discovered that Epic is testing the idea of customising the appearance of the game’s golf karts. Who knows how something like this would work, since the karts are shared on the map instead of dropping alongside you. 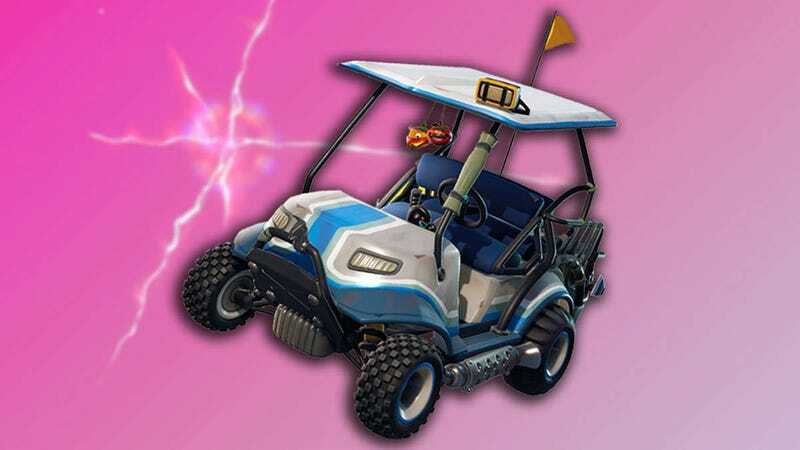 Maybe they’ll just spawn now with random skins on them, maybe they’ll adapt to certain times or events, maybe Epic has worked out a way for karts to show the selected skin of whoever is driving (or drove last). A patch earlier today switched out the game’s SMG, the next might do something with this.